The unique leg strap which makes your pruning saw more easily accessible. Anti-twist buckles & neoprene cushioning for a comfortable fit. Designed by Arborists, for both right and left handed users, for use in the tree or on the ground. It fits most makes of saw - straight or curved. 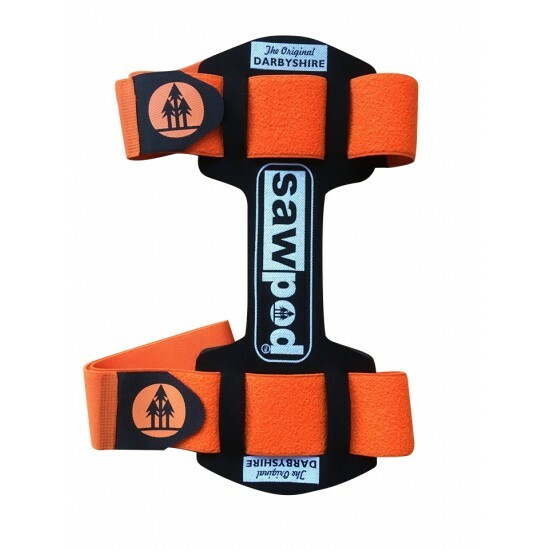 The saw simply slips into the SAWPOD in it's original scabbard and is held in place by the pressure of the elasticated leg straps on the grippy logo.